How to track and target logged-in visitors. ID tracking enables you to associate respondent ID in Survicate with user ID they have in your app. What does it mean for you? 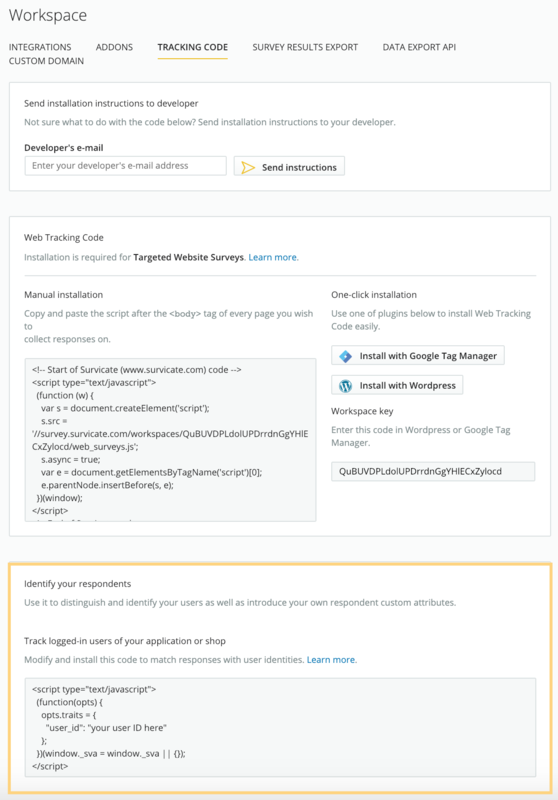 To track your app's user ID, you have to install additional tracking code on your website, right before the standard Survicate tracking code. Go to Settings > Tracking Code and scroll down to Identify your respondents section. Modify the 'user ID' and paste the code on your page. ❗️Caution! This code has to be modified by a developer to work properly! If you have installed Survicate using our platform-specific solutions (Google Tag Manager, WordPress, Shopify), look for a field for ID tracking and further instructions in settings of your plugin or tag. Once you have the logged-in tracking code installed, you can start displaying a survey to those visitors, who have or don't have the user ID. 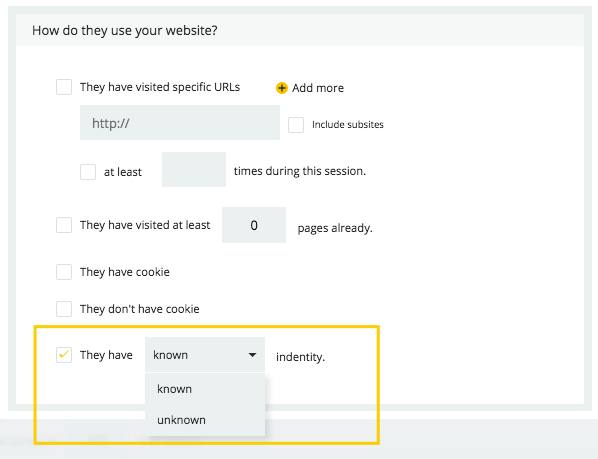 From a menu of targeting conditions pick How do they use your website?, choose They have known identity and save the segment. ❗️Remember! You have to enable the segment to display the survey properly! Also disable all segments which exclude each other.